Bedroom furniture manufacturer reviews – why not call in to see us today? Here at Starplan, a bedroom furniture manufacturer, we believe the best form of review is through word of mouth. Reviews are particularly good for when you’re trying to find a product for the very first time. If something is brand new to you, you need to rest assured that you’re using the right company. 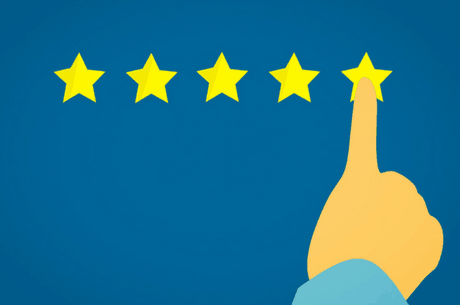 That’s why, as a bedroom furniture manufacturer, we’ve put together some reviews from previous customers in the hope we put your mind at ease about using our services. ‘Just had our bedroom furniture installed and found the fitters Ant & Phil extremely professional and excellent at their job, they worked flat out all day to ensure our furniture was fitted perfectly and on time. Their attention to detail is second to none. The whole experience dealing with Starplan has been superb, Helen who was the designer came out the same day to review what we wanted and quickly measured up and had the CAD designer show us what we had asked for to ensure we were happy with it. Steve Martin the surveyor was polite and professional. We asked for a slight modification on the day with shelving and Kirstie in Customer service quickly got Ash to come and do the modifications without any problem at all, he is exceptional at his job and gave good tips on how to look after the furniture. Bespoke fitted wardrobes Bolton – Create your perfect fitted wardrobe with us here at Starplan.